Attendees stuck a sticker on the figure they liked most. I thought they were just doing a popularity poll, but if "Elephant" is the only figure they're doing then that's fine by me, it's the only one I want. Hey guys, I was surfing reddit, and so apparently Lebronvoy is out already. A guy had in hand images of him, and he said that he obtained it from the aftermarket, and that it "wasn't too much". Was this a convention exclusive or is this a retail figure that has yet to come out, and how did he get his hands on one? Nathaniel Prime wrote: Hey guys, I was surfing reddit, and so apparently Lebronvoy is out already. A guy had in hand images of him, and he said that he obtained it from the aftermarket, and that it "wasn't too much". Was this a convention exclusive or is this a retail figure that has yet to come out, and how did he get his hands on one? The Safari Lebron is now available at Mandrake. Not too shabby at 30K yen. Way better priced than the Bape ones. -Kanrabat- wrote: The Safari Lebron is now available at Mandrake. There was a few on Amazon Japan around that price this week. Now the lowest is around 40K JPY. Emerje wrote: There was a few on Amazon Japan around that price this week. Now the lowest is around 40K JPY. Anyone interested should keep monitoring Mandrake. At least with them, no need for a proxy. They're making more of these? 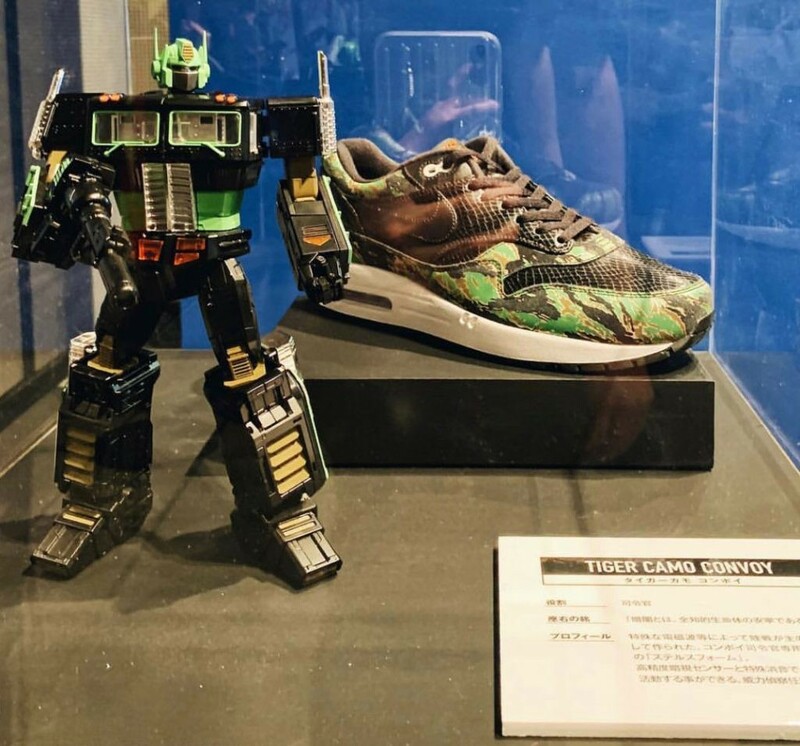 Well, if you thought that Atmos was done with the reveals of its Transformers crossover figures, oh boy were you (like us) dead wrong. It would seem that over the weekend, there was a convention known as Atmos Con Vol. 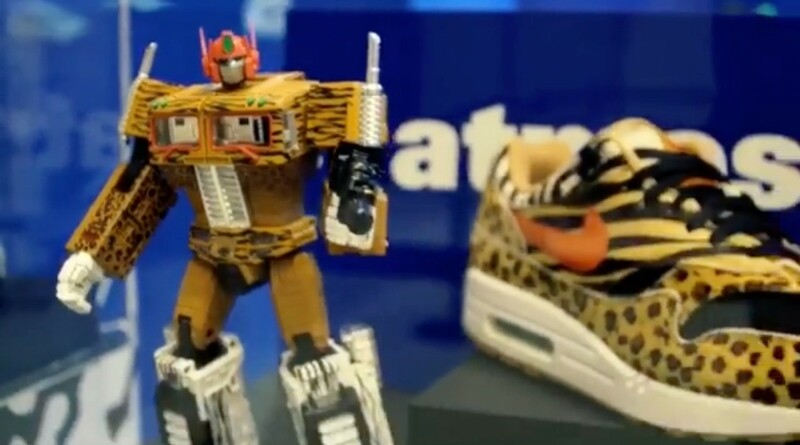 6, and no one in the Transformers world was even aware this was a thing, let along we would get 2 more reveals to pile onto the MP-10 Atmos repaint train: Tiger Camo Black and Tiger Camo Yellow! Thanks to Collecticon.org, we are now finally aware that these have happened, and we can show you the pictures of each and also a video, which is the only place where you can see the Yellow Camo version in any media, as the images of the figure are screenshots from this video. While these 2 new figures now bring us to 6 Atmos MP-10 figures, and they do look pretty darn good in their own right and as additions to the MP-10 rainbow, details about price and release date are still scarce, so all we know is that they exist, for now. 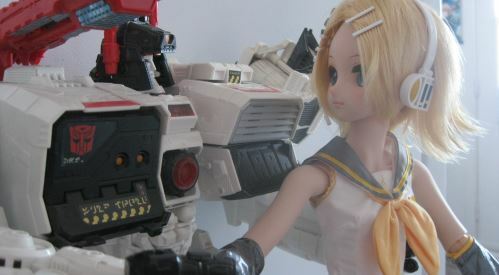 Check out the images below, and let us know what you think of the next 2 entries into the MP-10 atmos chain below! Holy crap, what new paint jobs are set to come next? Also, I really am starting to want to get a hold of at least one of these for the fun of it. That Duck Camo looked good, but dang both of these jobs are slick! That Yellow camo version is really rocking it with the tiger stripes. The black and green looks great, but the tiger one doesn't look as good as the one from the photo I posted. Maybe mine was a little saturated on the orange, but that looked miles better than this yellowish tan. I do wonder if MP Optimus 3.0 will have this much special repaints down the line? 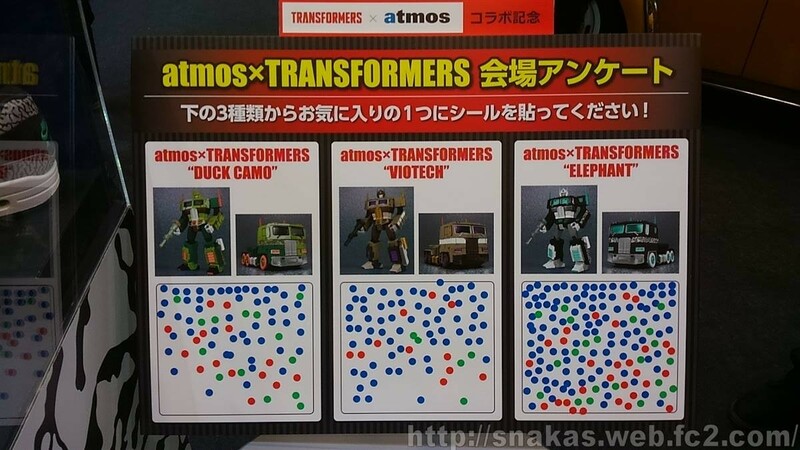 -Kanrabat- wrote: I do wonder if MP Optimus 3.0 will have this much special repaints down the line? I'm hoping none, outside of the obvious like a white "Ultra Magnus" or Nemesis Prime repaint. It's difficult enough to keep up with the MP-10 repaints as it is. Now we're at 6? 4 was a lot!!! Especially since we now know how these are being released: store exclusive lottery system, very similar to Bape. There isn't a single one of these that will be cheaper than 300 bucks. 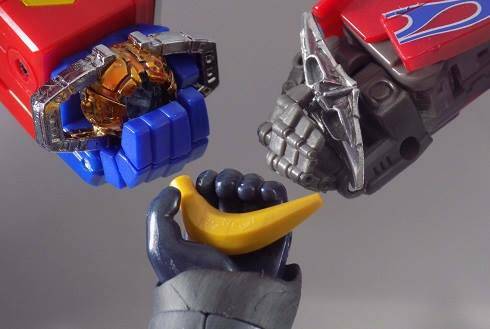 Takara... MP Dinobot and Megatron, 44 Prime, and now an endless MP-10 repaint line... you're killing me!! jeez, these are pretty bad looking decos. These are beginning to grow on me. Motto: "If it lives, I CAN KILL IT"
THATS SO FUNNY! It was just yesterday in the 90's that I was thinking how much I wanted a Mp Prime with a leopard print! 4,473 pages were recently viewed by 774 unique visitors. This page was viewed 1 times on Sunday, April 21st 2019 3:09am CDT. © 2019 Seibertron, Inc. DBA Seibertron.com. All Rights Reserved. Established June 2000. Seibertron.com is owned by Ryan Yzquierdo.